I seem to have a slightly incurable addiction to jewelry. It was all jumbled up rings and beads – kind of messy and fun and flirty. And here’s theirs – for the not-so-low price of $39.50! I made mine silver – I don’t wear a lot of gold jewelry. 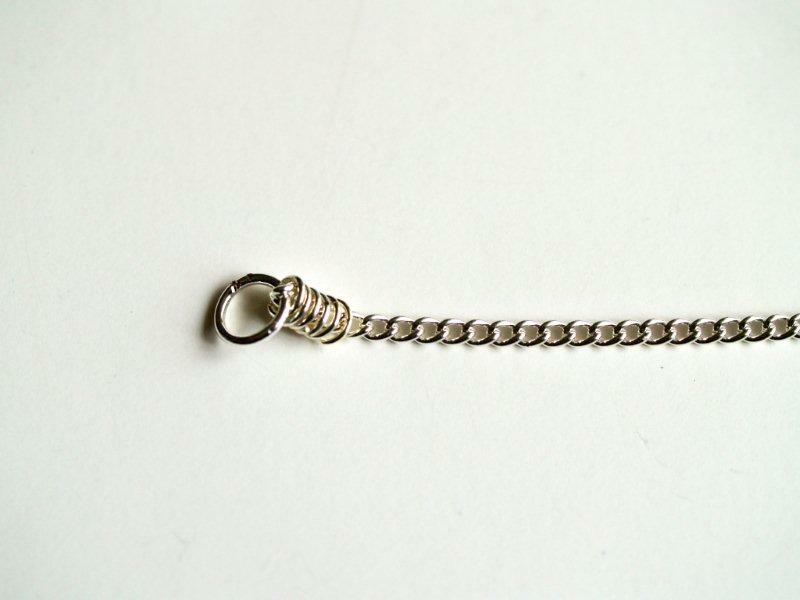 Begin with your small piece of chain. (I cut mine the length I wanted, 6″, but it made it pretty difficult at the end to get the rings on. 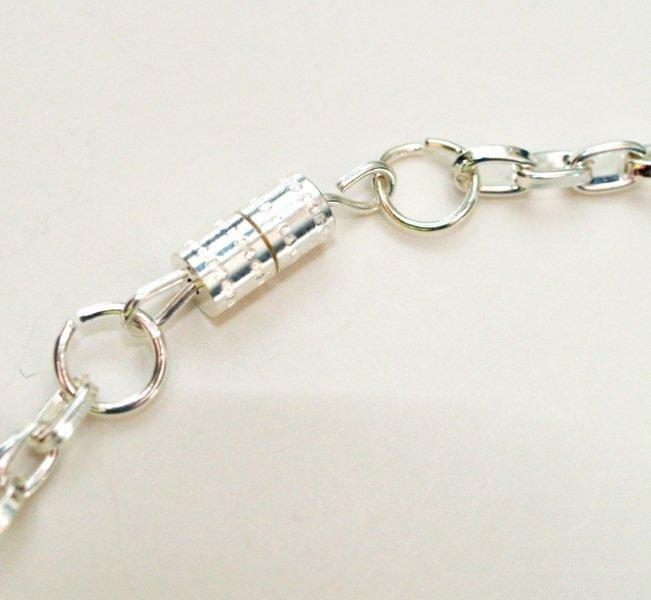 Add a medium sized jump ring onto one side of the chain. Begin with your smallest rings. These are just a little bigger than the chain. You can do as much or as little of each size as you’d like, you just want the rings to get gradually bigger, then smaller down the chain. 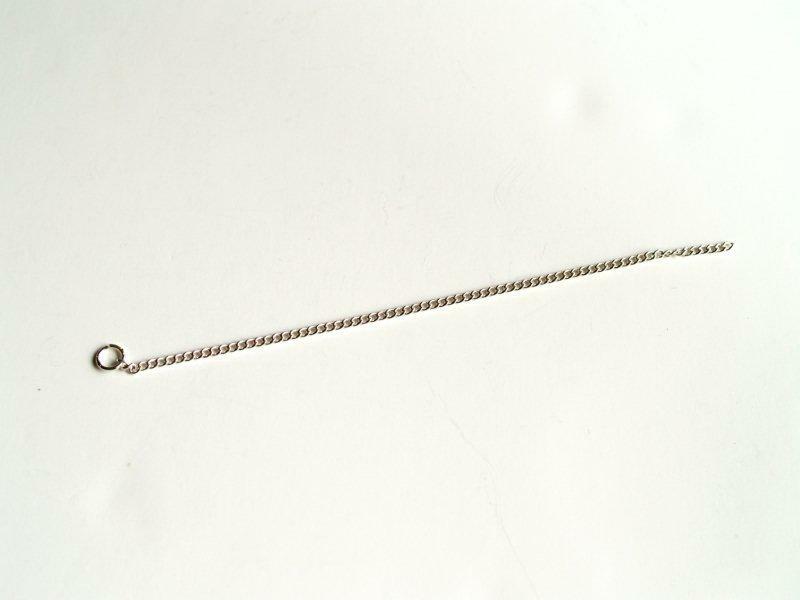 Before you move on to the next size ring, add a small jump ring through the link in the chain at the end of the small jump ring section. 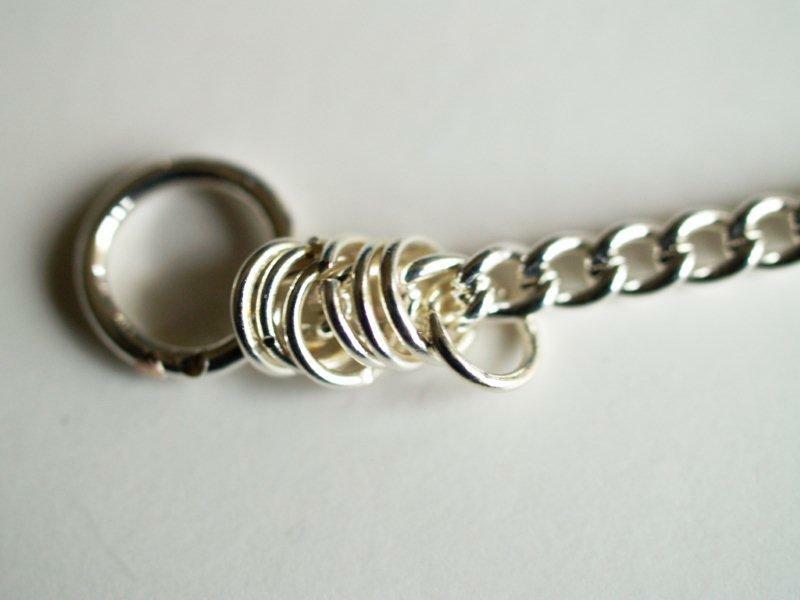 Then add the next size up jump ring to the next link in the chain. This will help keep the rings from overlapping. Add the next size jump rings to the chain. 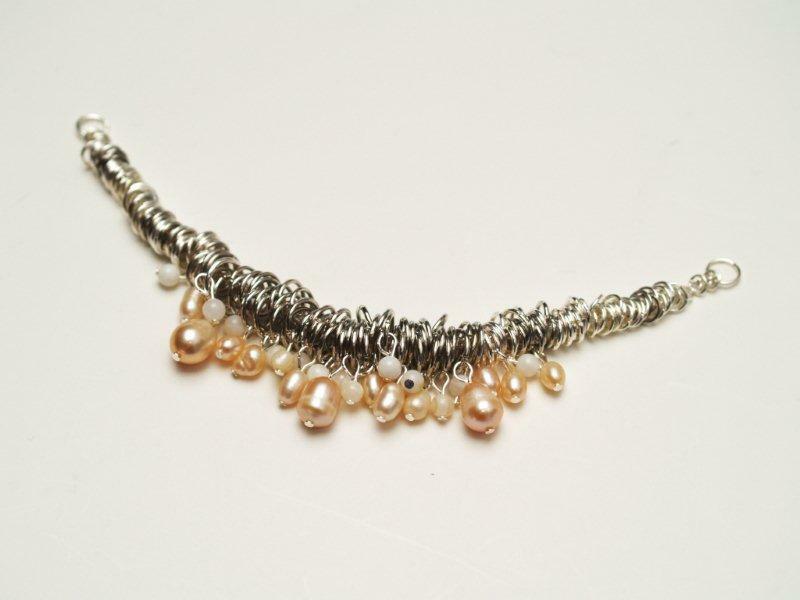 Before adding the next size rings, add a bead on a head pin loop to the chain. Add your largest jump rings to the center. Repeat the process across the chain so it mirrors what you’ve done so far. 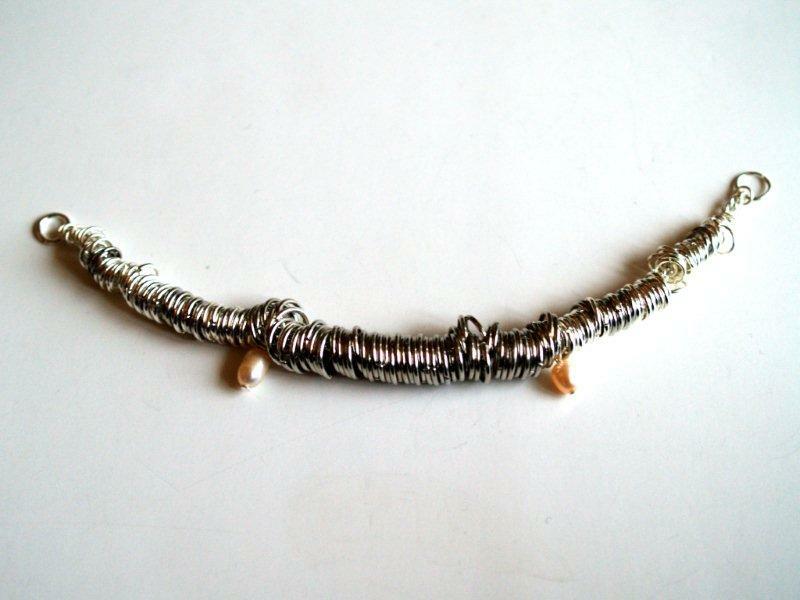 Finish out the chain and add a medium jump ring to the other end. 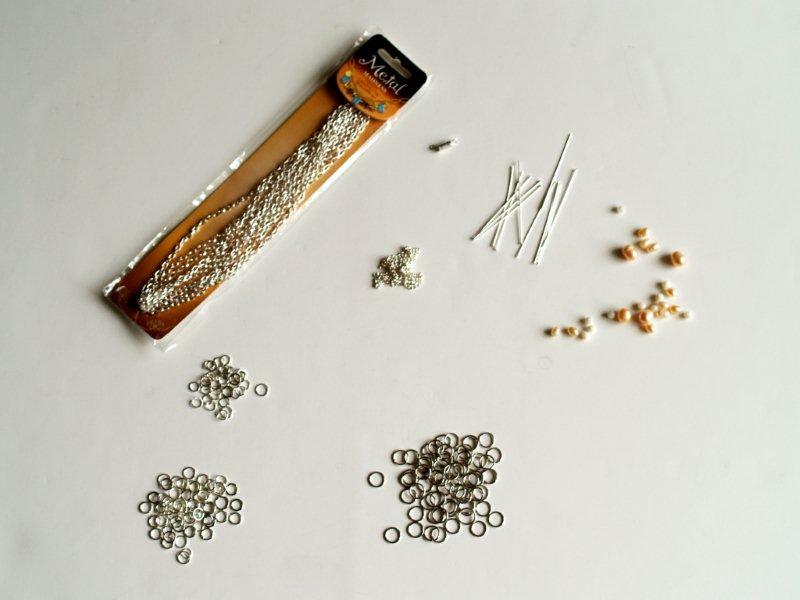 Add your beads to head pins and make loops as you did before. Add them to the rings along the center section. 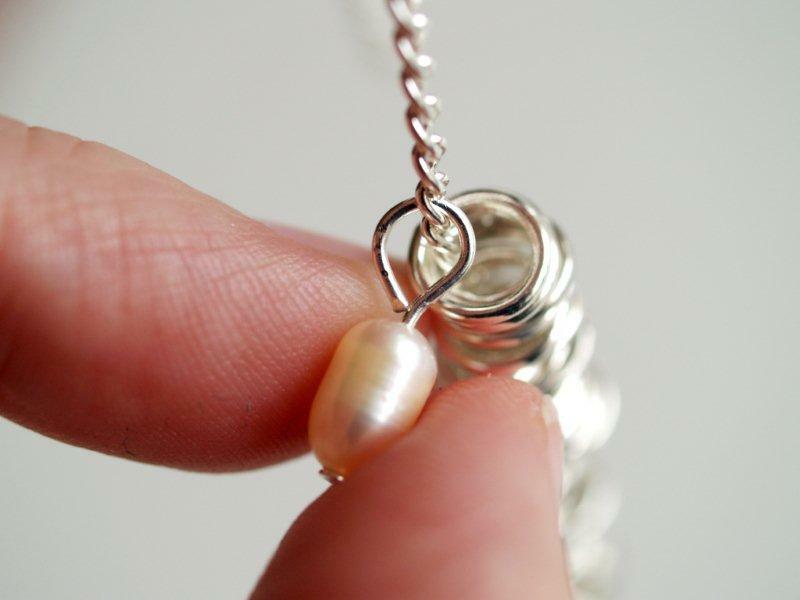 Measure with your decorative chain how long you’d like your necklace and cut two pieces for the sides. Mine are 8″ long each. 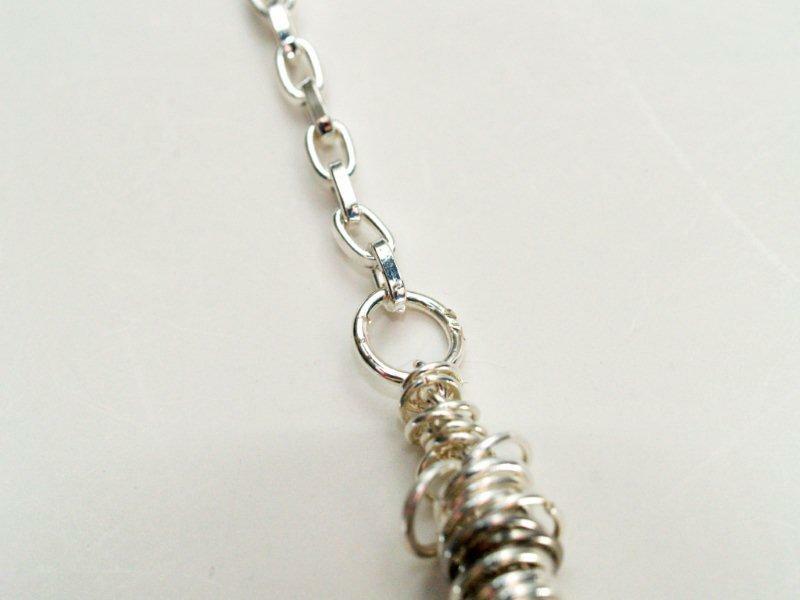 Add a length of chain to each of the jump rings at the ends of your short chain. 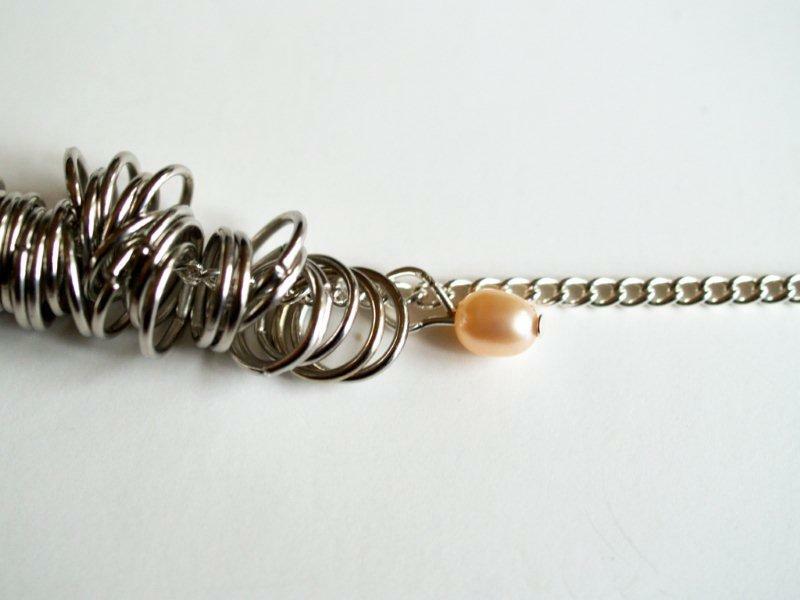 Add your necklace closure to the other ends of the decorative chain. I love the way it turned out!! The rings look so cute all jumbled together. PS – Is it possible to have to many necklaces? I need to know. « Think Pink Sundays No. 14! Super cute! Love all the beads and rings. SO pretty! Thank you for the inspiration! I keep saying I will try to make my own jewelry and now I HAVE to :))) Thank you for sharing!! So pretty and a dainty one to mix things up, I like it! holy dang! you are so cool. inspirational~ as usual! I love all your knock-offs=keep em coming!!! I’m still amazed all those jump rings can look so glamorous! Its really stunning! This is gorgeous gorgeous gorgeous! Also, so impressed with the pics, all those crispy-clear closeups! A great tutorial! I bow to your skillz. Very Cute. I may have to try this one :) Thanks for the tutorial. I love your version even better than theirs!!!! This is fantastic!!! And no…you can NEVER have too many necklaces!!!!! So pretty! Great idea! Thanks for sharing! No way can you have enough necklaces – I’m crazy about them too! You’ve done such a great job and I like yours better! 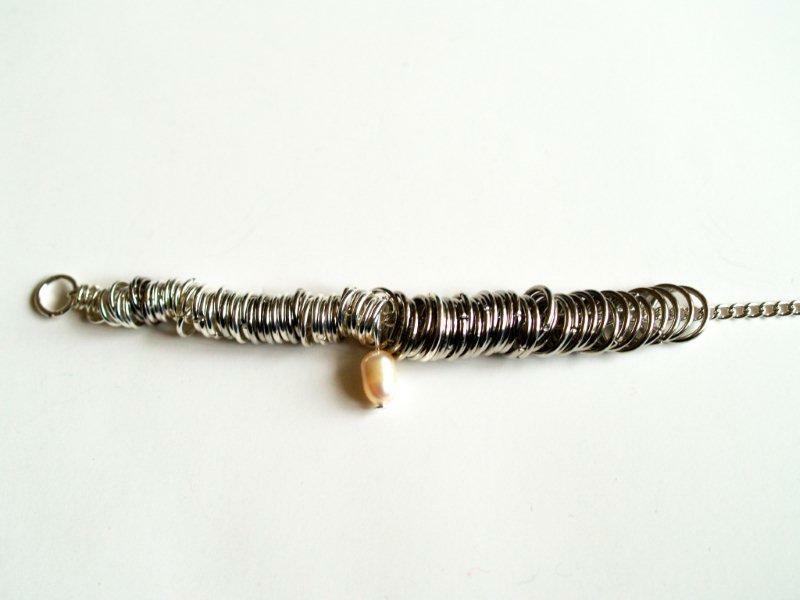 One can never have too many necklaces, rings, barrettes, earrings, etc……. 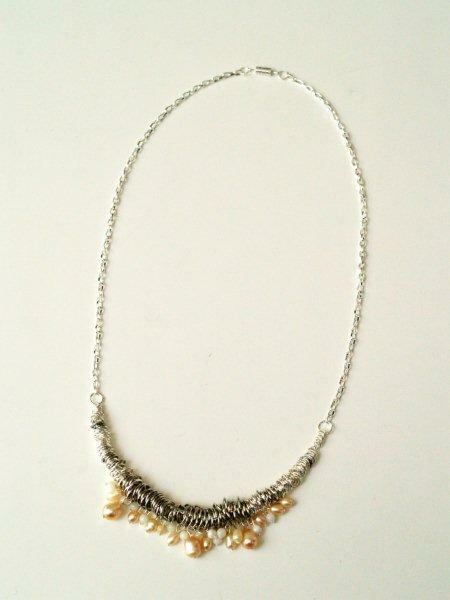 Lovely necklace project~ a true metamorphosis. You make this so easy! I wish you had not, because now I want to try! And no, you can not have too many necklaces! This is so cute! 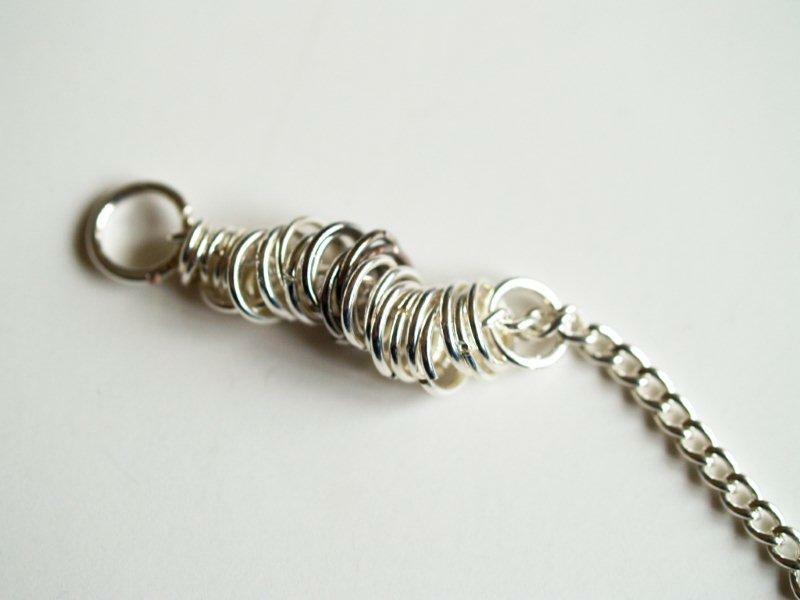 I agree that you do make jewelry making seem so easy! Thanks! That’s just fabulous! Love it! 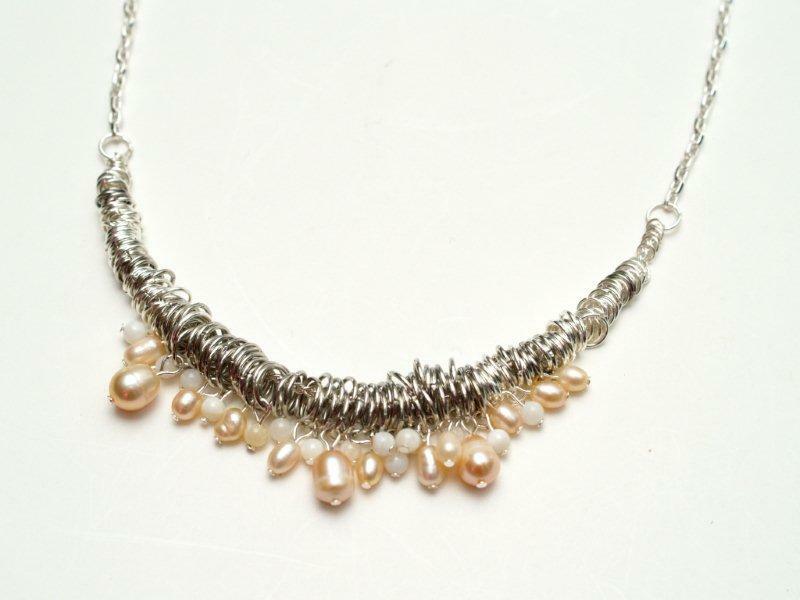 It is prettier in silver…ya know what…I wore a very similar necklace to my wedding (late 90’s version if this). i LOVE it! Absolutely lovely and pretty easy too! Thanks for the inspiration! Love your blog!! Its so cute!!! I am your newest follower!!! :) I would love it if you checked out my blog and followed me too!! :) I am so excited to start blogging and share my ideas on food, crafts, and mineral make-up. I will also be doing giveaways on stuff, like mineral make-up. So look out for it! Huh… wouldn’t have thought it would be that easy to make! Thank you! That turned out even better than the inspiration! Great job! This is so beautiful! I can’t wait to make one for myself! Thanks for the tute -you are so generous & amazing. I love all of your jewelry! Hi! I have loved seeing your creations. I am not in the least inclined to make jewelery myself, and end up paying waay too much for it as a result! Is there any way to convince you to perhaps list and sell this in your etsy shop? Featured this as part of my BFF party wrap up! And posted a 20% off EVERYTHING coupon from Michaels on my FB page just in case you need more chain, jump rings, enablement etc. ! Bev, the world would be at a loss without your “jewelry addiction” and the talent you have for showing us all how to make these incredible creations! bev–that’s awesome! I don’t know how you do it! so much patience! That’s so pretty and it looks really fun to put together! Thanks for sharing your steps, I’ll be linking. You have a great talent. 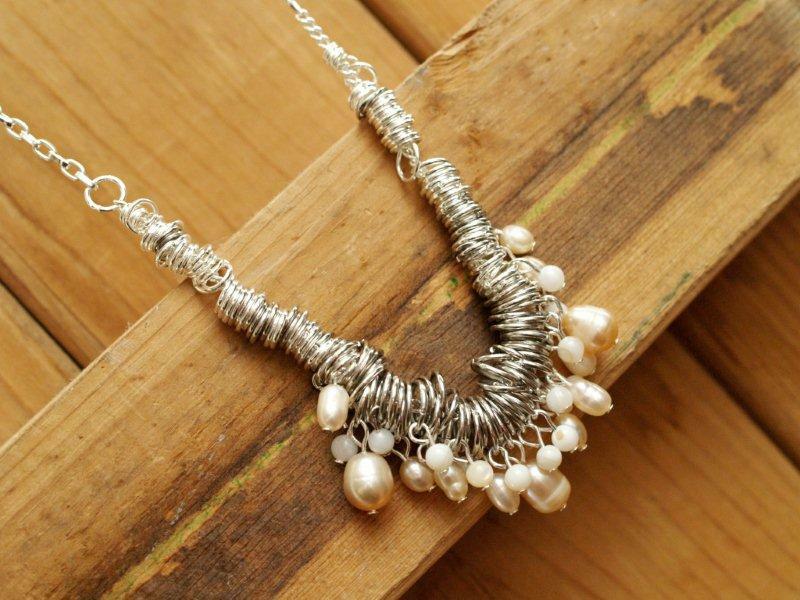 Gorgeous necklace. 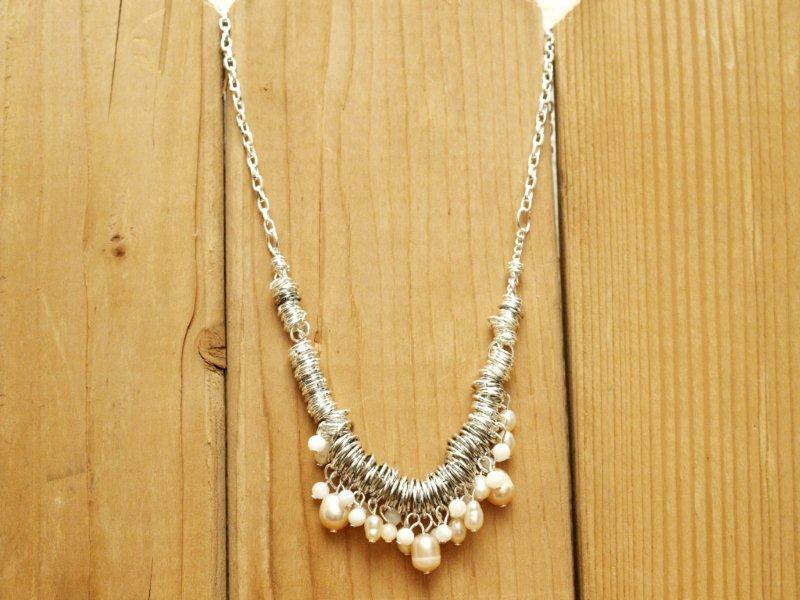 You can never have too many necklaces! And this one is beautiful. I put a photo and link on my blog. I think I will try making one of these. Your instructions were great and it doesn’t sound TOO hard. Thanks for being willing to share your ideas. I love your site. Its so much fun! 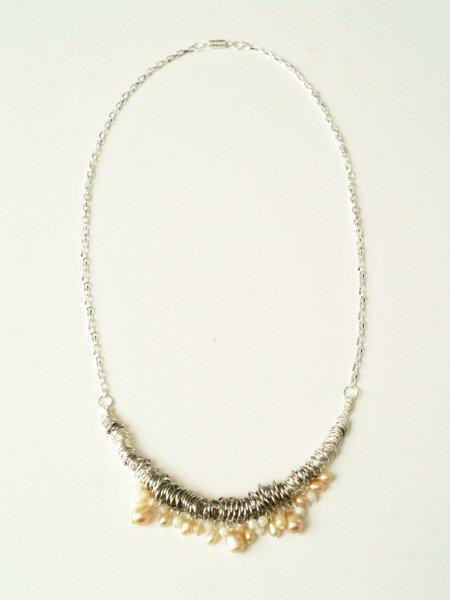 I love this necklace and “NO” one cannot have too many necklaces. I’m not very steady, (due to medicine I have to take and I don’t believe that I could master this. I was wondering however, if you have an idea of approximately how many pearls you used. 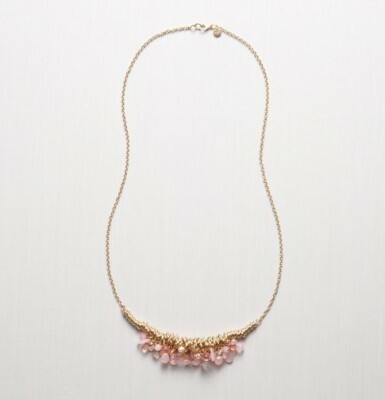 BTW, your necklace looks like REAL jewelry, theirs looks like some prize from a bubblegum machine! I’ve gotten a similar look by threading a small link chain back and forth thru a large link chain, it scrunches it into rings. cool, cool! Awe inspiring!! I have always said jewelry design possibilities are endless, therefore how could any woman have too much!!!?? Any many who says otherwise lacks vision. Nice necklace. What size jump rings did you use? They look perfect. Can you let me know where you got your beads? I am trying to order some online, but I can’t find any beads as pretty as yours. Thank you! I think the you made is much better than the original one. This is a really cool idea.Thankyou for this tutorial. Wow I am running out to Michaels right now to get all the supplies this is just beautiful thanks so much for sharing!